Jennifer is a GIS Analyst for the Arkansas GIS Office. 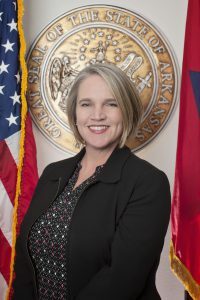 She was previously a GIS Analyst for the Pulaski County Assessor’s Office and has also spent over a decade in the private sector as a network analyst and a data analyst in the telecommunications and enterprise data industries, respectively. She received her Master of Geographic Information Systems (MGIS) from the University of Central Arkansas and her Master of Public Administration (MPA) from the University of Arkansas at Little Rock. Jennifer moved to Arkansas from Shreveport, Louisiana in 2003. She lives in the Park Hill area of North Little Rock with her husband and two children. In her spare time, she enjoys photography and exploring the Natural State’s beautiful landscapes with her family.